Assessing safety practices is an important way to identify both your safety strengths and areas for improvements. For you, we deliver a complimentary and tailor made assessment program designed to achieve long term safety performance known as 3 steps to safety. This program uses a three tiered approach, incorporating three steps that will assist you to improve, maintain and enhance your occupational safety and health performance. Outlined below is an overview of the 3 steps to safety program (pdf). What are the 3 Tiers? Recognising the diversity across local government and the different challenges you face, we have grouped members into three tiers based on full-time equivalent (FTE) numbers. Members who have well established policies, procedures and practices or who are performance-based. Performance based is when your contributions are set by providing maximum and minimum contributions for each period of coverage. Each tier has progressive safety requirements. What this means is that if you are assessed at tier 1, when you progress to tier 2, the requirements for tier 2 are in addition to what you have already completed, rather than having to start over. By making the requirements progressive, the program has been designed to enable you to continuously improve and enhance the way you manage safety. The requirements are based on safety fundamentals. To assist you in understanding the requirements and prepare for an assessment, we have developed the Tier 1 Evidence Guide (pdf). Tier 2 looks at the same 25 requirements, however adds another fifteen under the same headings. These are further explained in the Tier 2 Evidence Guide (pdf). For those at tier 3, we have developed assessment tools based on the Worksafe Plan and AS4801. What this means is that you have the option of being assessed against either tool dependent on your needs and desires. When you commence in the program, we will work with you to determine the most appropriate tier and tool to get the best results. 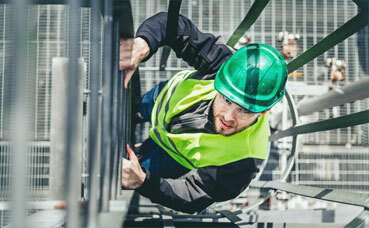 Incorporating the 3 steps of assess, plan and act, we will work with you as you to improve your safety performance. Step 2: Plan - action plans are developed in response to the assessment. Step 3: Act: implementation of the plans.